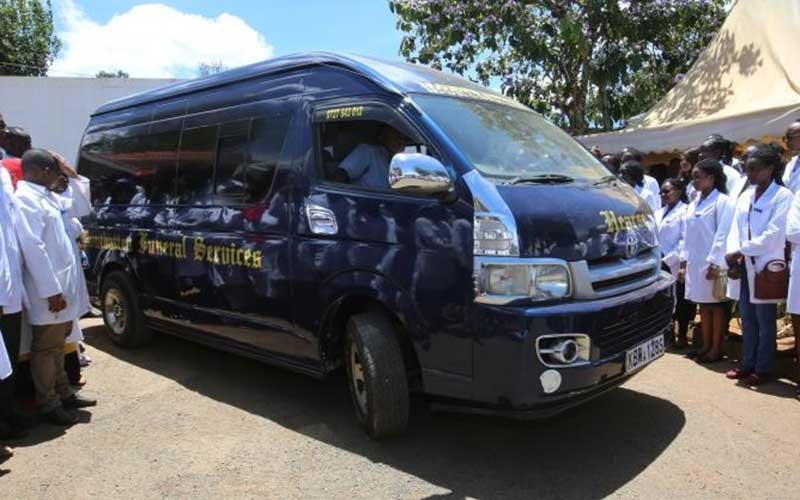 Friday, April 12, 2019-The mother of Naftali Kinuthia, the 28 year old man who hacked his girlfriend to death in Eldoret, claims her son had revealed to her his relationship with Ivy Wangechi was getting messy. According to Kinuthia’s mother, her son complained that Ivy had turned disrespectful towards him and constantly abused him like a toddler. She advised him to end the relationship with the young medical student and even thought that they had parted ways. “For a long time since July last year, I thought they had parted ways because I never heard him complain thereafter until when I was hit with this unbelievable news that he has committed murder," Kinuthia’s mother said. Kinuthia hacked his girlfriend to death on Tuesday morning. When asked by detectives why he committed the heinous murder, he said that he had invested heavily on the deceased but she kept on rejecting his advances. Days before Kinuthia murdered Ivy, he had sent Ksh 14,000 to her which she was supposed to use for her birthday. It’s alleged that when she received the money, she went mum and kept on rejecting his calls.